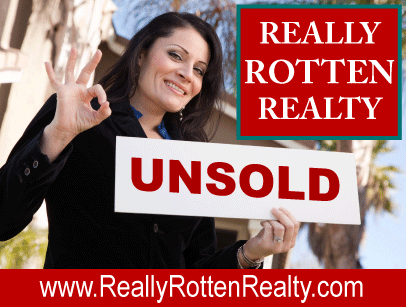 Really Rotten Realty® - Selling Your Home in Dallas, Texas? - Our Real Estate Agents Will List Your Home For A Higher Price Than Any Other Agent Thinks Possible. Selling It Is Another Story. We Make Bad Real Estate Agents Look Good. Don't like the price other agents want to sell your home for? Neither do we. We promise to list your house for a higher price than you can get any other agent to commit to. We know it won't sell for that amount but that's not why we do it. 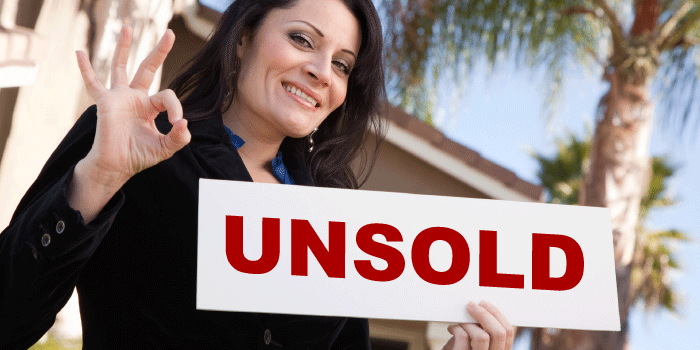 We deliberately overinflate the listing price to win your business. We can worry about realistic pricing after you are stuck with us. We have the whole contract period to get you to lower the price to a realistic amount. But hey, it's fun to dream isn't it. And we cater to dreamers. We tell you what you want to hear! No one likes hearing the brutally honest truth about the true condition of their home or how much it's going to cost to get your home into marketable condition. That's why we lie to you and tell you what you want to hear. We're the "good news" agency. You're happy to hear good news, and we're more than happy to tell it to you. You want to hire an agent that makes you happy don't you? We're counting on it. We can be honest later, when the house sits unsold for a few months. You're much more receptive to the truth then anyway. Want your house advertised by a professional? Look elsewhere. We don't advertise in the newspaper, magazines or promote our listings on the Internet. It's just too expensive and way too much work for a Really Rotten agent to deal with. We believe in the 3-P's of real estate marketing: Put, Put and Pray. Put a sign in the yard, Put it on MLS and then Pray someone will come along and buy it. We usually find that after enough time passes, and after several price drops the house usually sells itself without too much intervention from us. That's an easy commission earned. We like easy. We advertise all of our listings in the Multiple Listing Service (MLS). Since we only take one picture, if any, and use the same canned phrases for each house we sell, we can get your house quickly listed on MLS in a few days. If you want accuracy then expect it to take longer. We also create a home information flyer for every house we list. Actually it's the same flyer with just a few items changed to make you think we designed it just for you. We hold open houses every week for our clients. We've never actually sold a listing by holding open houses, but we have attracted lots of new customers to our agency by using our client's homes for our own personal gain. Plus it's fun to rummage through our client's personal belongings and if we're lucky there might even be something good in the refridgerator. We'll hold as many open houses as you like. It's the least we can do. We devote our full attention to showing our buyers your home. We give our full attention to showing your home to our buyers, while avoiding distractions such as not tracking dirt on your carpets, turning off lights, locking doors or worrying about your cat escaping when we leave the door open. Since we don't pre-screen our buyers, we really have no idea who we're inviting into your home while you're away. Receive a weekly marketing analysis of your listing. Every week, we conduct a marketing analysis which consists of looking to see if your house has sold yet, then telling you to lower your price. Since we overexaggerated your initial listing price at the beginning of the listing, you can expect many market analysis consultations from us until your house's price becomes competitive with the market. It's much easier to just drop the price than it is to actually sell it. Why earn the commission when you can just receive it for doing nothing? We give you part of your commission back. If you're a home selling client, we give you the slim opportunity to get back part of the money you paid us in commissions. You feel good because you think you're getting a bargain, and we feel good because we know that we've made it so complicated that no human could possibly meet all the requirements necessary to be eligible to receive a rebate. To be eligible, you must send us the 73-page Really Rotten Commission Rebate Form no later than, but no earlier than 50 days after the closing date. Failure to meet that 24-hour window, or include all the required paperwork immediately disqualifies you from receiving a commission rebate. Think our program is too complicated? We think it's just complicated enough. We utilize the Rapid Showing System. Our Rapid Showing System helps us schedule more showings for your property than any other agency can. Rather than getting bogged down in scheduling and finding convenient showing times, we just show up without notice. This tactic allows us to squeeze in more showings on your property. Plus it is so much easier than calling ahead of time. We know you want to hire an agent that is easily reachable by phone. That's why our voicemail is available 24/7. Our auto-attendant automated phone menu system has over 57 menu options available for your convenience. We hope you'll take the time to hear all 57 of them. You'll also love our extensive collection of on-hold music selections.